Part Man. 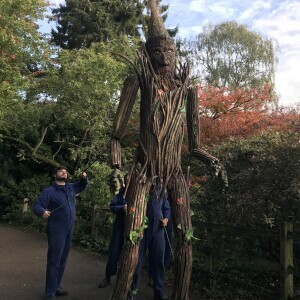 Part Tree. 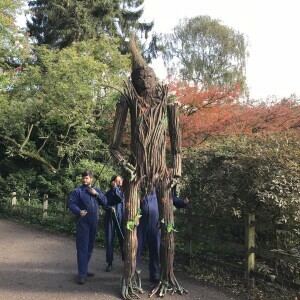 17 feet tall. 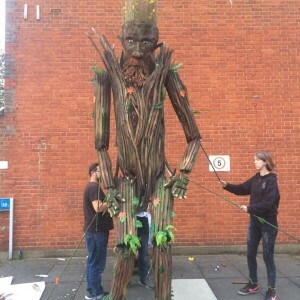 Meet Arbor. 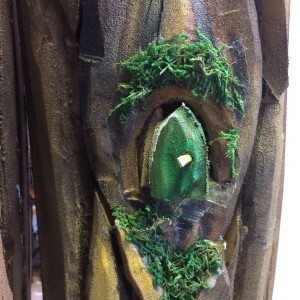 Follow Arbor as he strides around, vanishing between trees and emerging with his cart full of tree saplings. 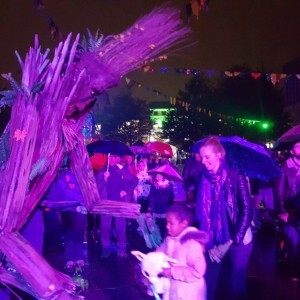 Arbor tells the story of a tree pushed from his home and his fight to preserve his future, featuring amazing puppets, and beautiful visual storytelling, we learn how Arbor came to be. 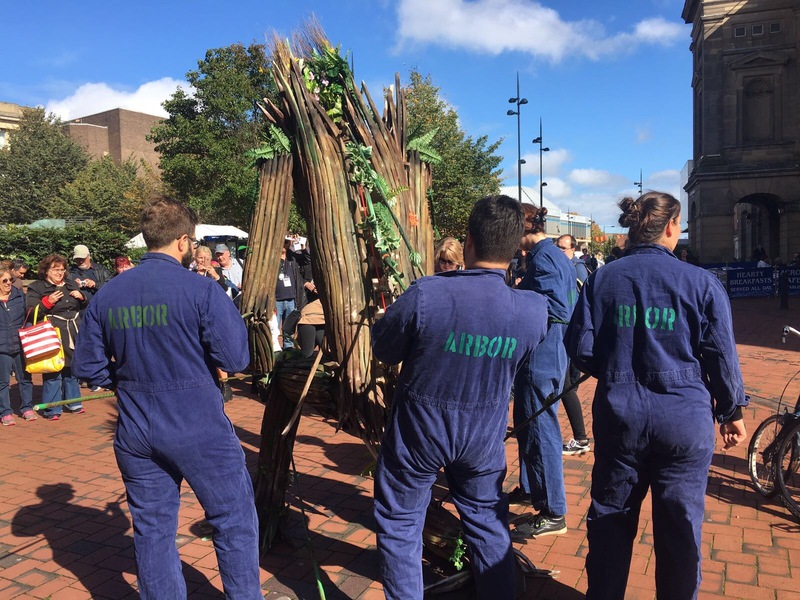 Encouraging the audience to plant and nurture their own trees, Arbor will give each family a sapling to take home, leaving a legacy that will last for generations. 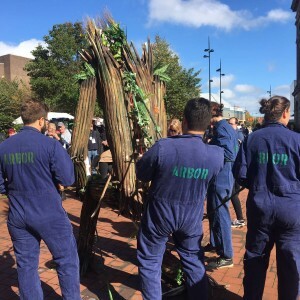 Arbor, the puppet, was originally created as a commission for Derby Festé, in 2017. 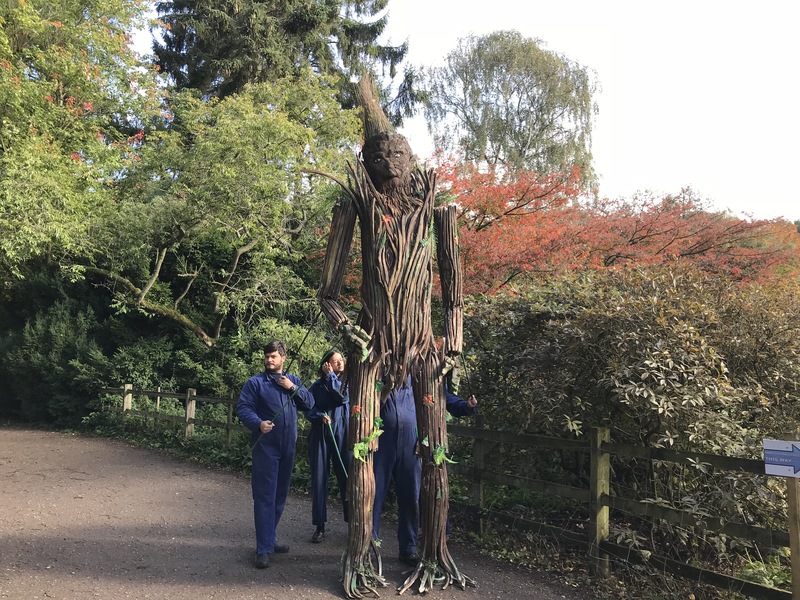 Striding spectacularly across towns, parks and the countryside, he has become a beloved favourite at outdoor events, across the UK. 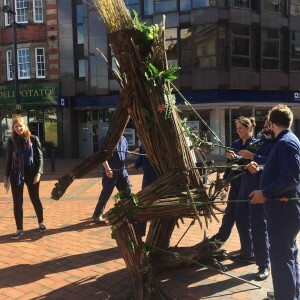 The original creative idea, for Arbor, came from our associate artist, George Bellamy and it was his love of nature, combined with our common love of puppetry, that inspired the creation of this puppet. 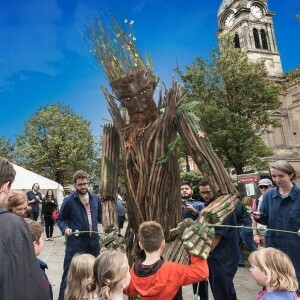 Celebrating British and Indian traditions, we have brought together the ancient British, Green Man symbol, the Indian festival, Van Mahostav (Festival of Trees) and the best of British Folklore in this family friendly character. 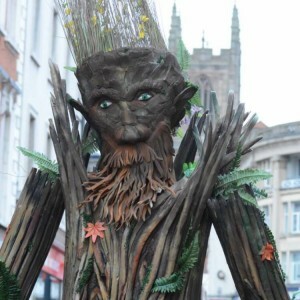 Due to popular demand, we are now working towards creating Arbor the Tree, the show, which will feature the main man himself but also a number of other woodland creature puppets, telling the story of how Arbor was pushed from him home and how we can all do more to look after our green spaces. 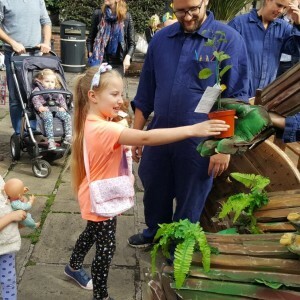 Including a chance for the audience to take home their very own tree sapling/seed, the development and touring of this show has been commissioned by Applause Rural Touring and we can’t wait to bring the show to an event near you!